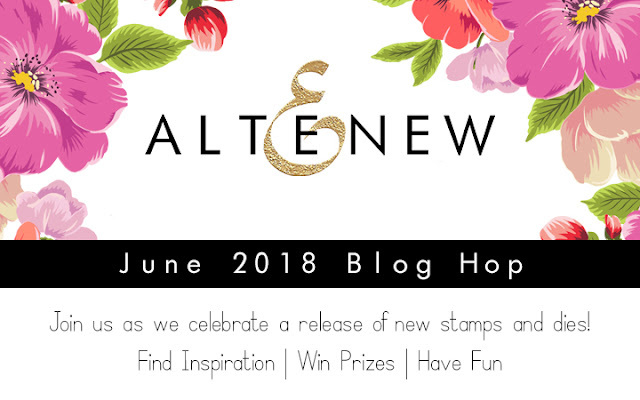 Hello Everyone, welcome to the Altenew June 2018 Blog Hop! You should have arrived from Kymona's Blog. For this first card I used the new Perfectly Perfect stamp set and Perfectly Perfect die set. To begin this card I first distressed the background with Tim Holtz Oxide inks and splattered the background with water. Then stamped my flower images on a white cardstock, colored with Copic Markers and die-cut. I also added some white dots using my Uni-Ball White pen. Then added some Pretty Pink Posh Confetti to finish off the card. For my second card, I first stamped the Leaf Canopy images then added some color using Copic Markers. The peach dots you see are also Copic. For the new Mega Alphabets dies, I made a very easy simple project using this amazing products. 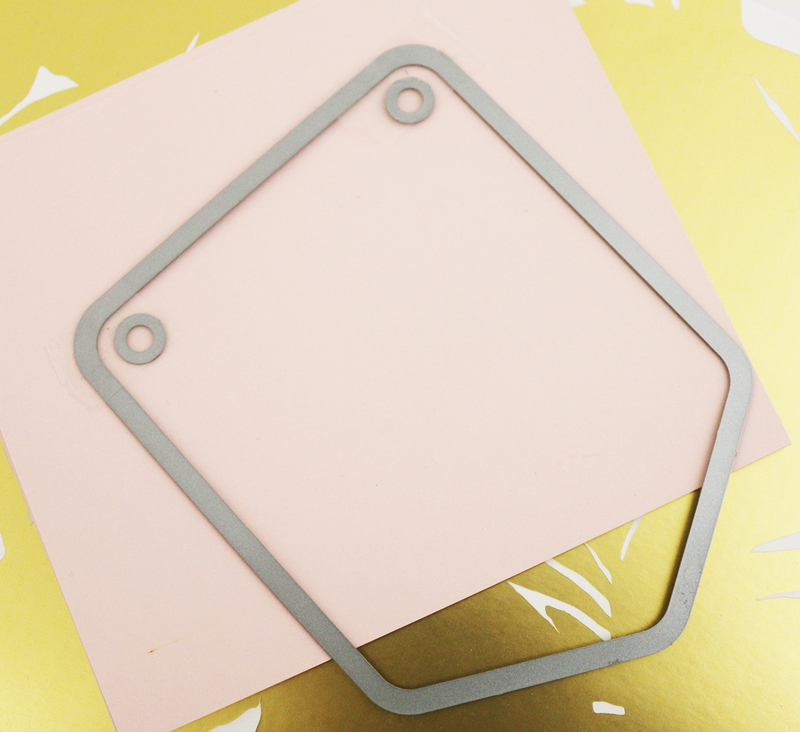 You will have a lot of uses for these, specially the new Pocket Banner Die. I am also giving away a $30 gift certificate. I Will announce the Winner on my blog on June 20th. Love your cards and banner! Especially the first card! Beautiful!!! I love the design and color of your card and the banner is so cute. Great job. Wonderful inspiration. Beautiful cards! love your style. All of your creations are fabulous! Simply Beautiful! loved the colors on your card a lot ! That banner die looks so fun! So many possibilities!! Wow! All of your projects are beautiful, but those two cards are stunning! i love that you used colors other than green for the leaf canopy... it looks totally different than the others i've seen in the hop and it's definitely my favorite! Such beautiful cards and love the banner. Beautiful cards and great project! Thank you for the inspiration! Wow!! The first card is just super gorgeous!! Love your work! All your projects are beautiful. Your first card is out standing. Cute banner; love these alphas! The peach looking card is so pretty. This is the best release yet!! Love your projects....your take on the Leafy Canopy is so beautiful - and different ! Your projects are very impressive! Nice job! I love your projects! Your second card is in my favorite color! Three unique projects. Both of these cards are gorgeous. I think your Hooray banner is a great idea, too! Wow, these cards and Hooray banner are beautiful, amazing copic coloring and love the distress background on the first card. What beautiful cards!! I LOVE the amazing banner!! Beautiful cards! Love the colors that you used! Amazing cards. Love the perfectly perfect card and the canopy one. The first so vibrant and colorful and the other one so soft and beautiful. So so beautiful cards, just loving them. 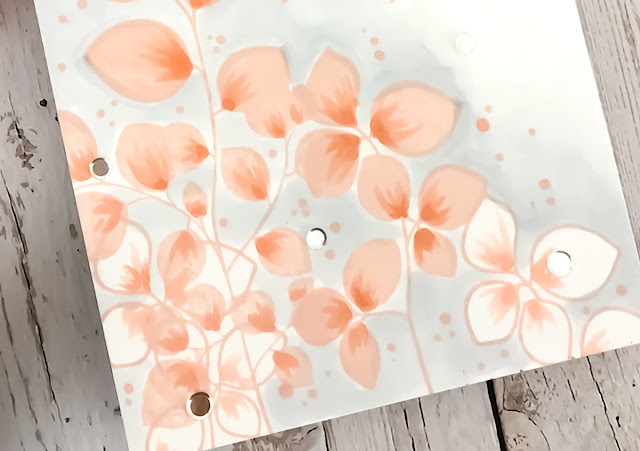 I love the peach palette you used with the Leaf Canopy stamp! Amazing! Beautiful cards and nice banner! Wow, what a perfect name, perfectly perfect! Wow, really impressive. I love the way you used the colors, your world really is colorful, so very beautiful and vibrant. Congrats on another great release. I love looking at each post to see the originality of each artist! I love your copic colouring and the use of peaches on the canopy leaves! Unique and beautiful! Your cards are beautiful - that first card is just breathtaking. Gorgeous colour choices! I just love the way you used these stamps and the colors are beautiful! So inspiring! I really think your first card is beautiful. As well, I so like the colours you used for the leaf canopy stamp instead of the usual green. This is a gorgeous post with so many awesome stamp set and dies, your work are amazing! I love your cards. I love the bright colors of the first one but the softness of the second one is so appealing too. Love the look of the leaf set, those colors used gave it a totally different look. I almost didn't recognize the stamp set for a moment. Great job. I love what you did with leaf canopy. I thought they were flower petals at first! Your leaf canopy card is so pretty! I love the color combo and background! Beautiful work - love your ideas! Oh my beautiful cards! Love your coloring skills! Cute banner. Your coloring skills are exquisite! Your second card was so unexpected, but GORGEOUS! I love the vibrant colors! Wow, that first card is out of this world AMAZING!!!! I think I need to buy the set just to make that card! Love the leaf canopy and your banner too! Beautiful! Love those flowers from the perfectly perfect set and stunning background! Your cards are lovely. Like the banner also. I’m in love with your cards, especially the first one! Could you share what Copic colors you used for the pink flowers? I love the cards! Beautiful! 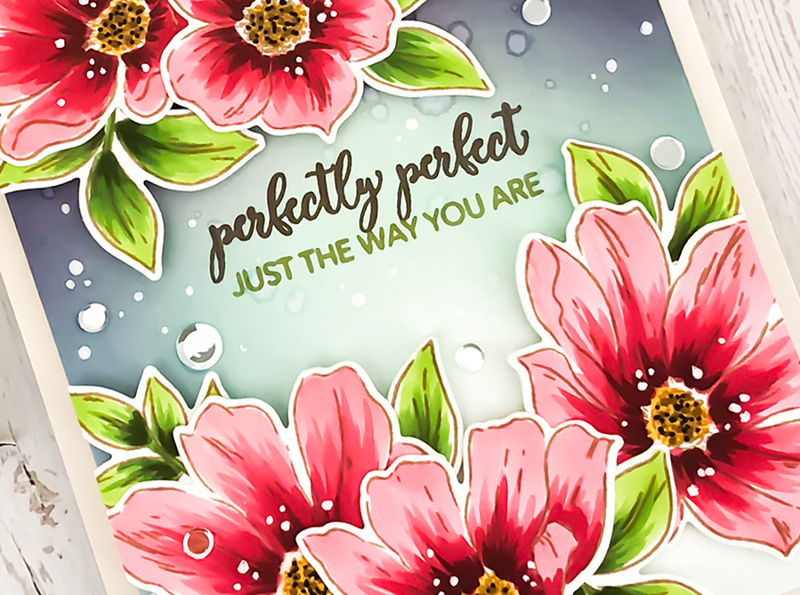 Your "perfectly perfect" card is gorgeous! I loved the colors you used. It caught my eye immediately. All of your projects are stunning. Thanks for sharing. 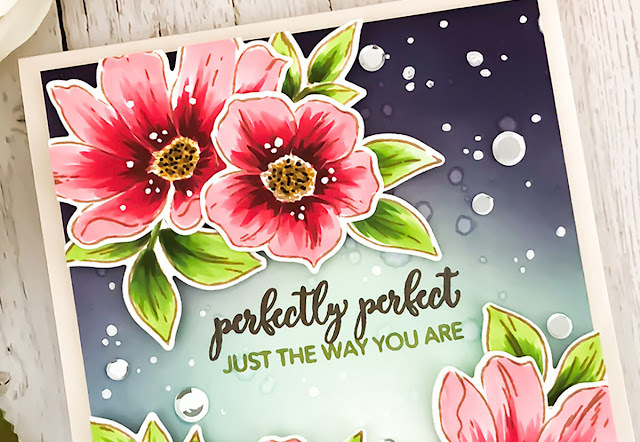 I love that Perfectly Perfect stamp set, thanks for sharing your pretty inspiration! WOW Joni, this is just another reason why I LOVE and WANT the Perfectly Perfect set. This is a stunner! Also, your Leafy Canopy card is equally gorgeous. Love the banner. My daughter makes banners for every season and occasion for in her house, she would LOVE this! Well done! beautiful cards, Joni - love how you used the leaf canopy stamps - my favorite set in this release! Oh I love the technique you used on both cards! They are beautiful!! Beautiful cards! I love the banner too - such a great way to use those letters! Sweet projects and love the first card! Your creations are amazing ! what an amazing release with so much potential. hope we see more cards from you. thanks as always for sharing. Another wonderful release with some really unique stamps and dies. Love it! Thanks for the wonderful inspiration. Your first card is especially beautiful! Gorgeous cards. I love the first one -- the bright colors are stunning. Beautiful cards, I love the bright beautiful floral card. OMGoodness, your cards are stunning! So pretty!!! I think the oxide background card is my fav, but they're both so good!!! Gorgeous projects! Such a fun banner and stunning cards. You achieved so much depth and rich color in your first card and the second is perfection. Oh my those cards are absolutely beautiful! Fantastic projects!! Thanks for sharing! Fabulous cards! I love the peach and grey leaves. It's so fun to see those in different colors. And I really like how you kept one of the leaves mostly white. Just a really pretty look. Also, I really like the woodgrain on the banners; it is so striking. Oh, and almost unrelated, well done on photographing the PPP confetti; I can never seem to capture how they shine on a card, so great photography skills as well! Thanks for sharing with us. Beautiful, I love the color variation on the Canopy Leaf stamp. Your Perfectly Perfect card is just that; perfect!! Love it! All your projects are fabulous!! These cards are really awesome. Will try this out. I love the leaf stamp and die set, so many uses and simple us very much better. Very pretty cards and cute banner. You created a perfectly perfect card! Love your color combos. The background on the first card is just stunning. And the second card is so sweet and delicate. I also love the banner. Absolutely gorgeous cards! And love the banner too! The bright colors of the first card are really stunning! Then the subtle softness of the leaves on the second card - wow! Thanks for the great inspiration! That Leafy Canopy is my favorite. Fantastic cards and banner Joni... love the gorgeous flowers on the first card. Such striking colors. Love this release! all great designs! LUV the background of the first card! Joni, I think your cards are fantastic, and I am notching that alphabet up higher and higher on my wish list too! Thanks for the inspiration! I'm totally in love with that first card! That blue just grabs my focus, beautifully done! Lovely designs Joni! Love all the new products! Thanks for the inspiration! Beautiful cards! Love the flowers on your first card! 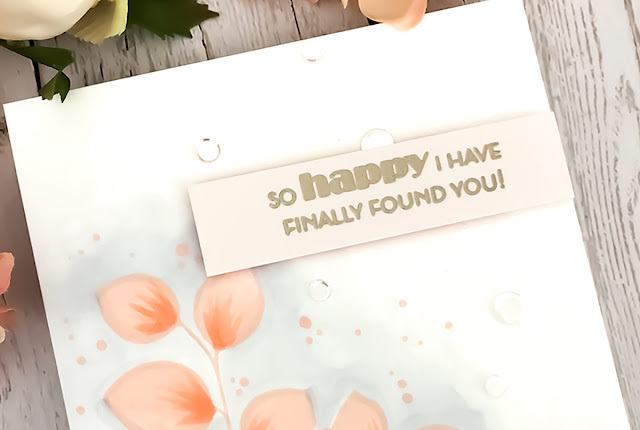 Love your sweet projects and especially your sentiment "So happy I found you" which is how I feel about your blog! Thanks for sharing your fabulous talents with us! Everything is gorgeous!! 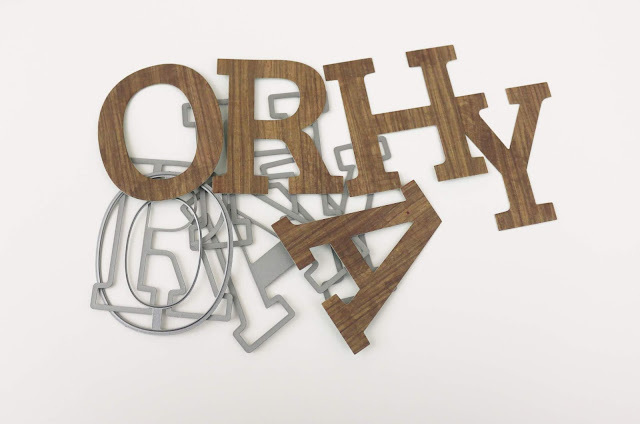 Love the wood letters! Your cards are gorgeous - lovely colors and designs! Your cards are so beautiful! Love your layering and colors in your flowers. This release is awesome! Thanks for the inspiration. The card with the oxide background is the best of the group. So stunning. I love all your projects. The team to score the primary factors of the match. Friday, Saturday and Sunday 10pm - 1am. Penalty tries depend. Additional time isn't included. The sport is always on at Hard Rock Casinos. In the occasion of a tie bets will probably be void. Pretty Pink Posh - June 2018 Release Blog Hop!